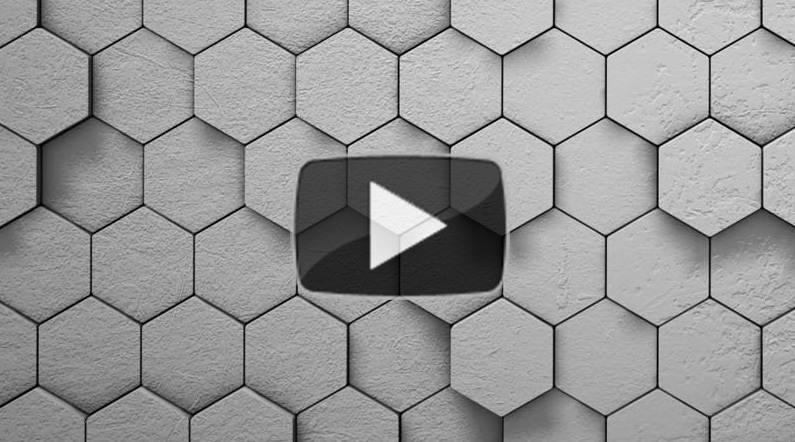 A new tool to decorate your designs by creating 3D patterns from an extensive library which you can add to. Easily apply your pattern on a surface and customize it. Add a professional looking finish to your fine jewelry, create an azure cut out on the back of your piece using the new Azure Cutting tool! Build your own unique design using a library of textures or add your own. From modern to vintage, contemporary to classic, this tool is ideal for under-galleries & advanced texturing. 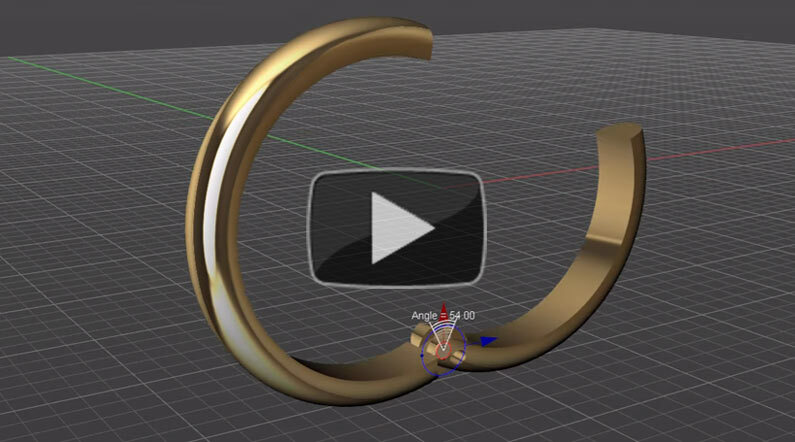 This new tool allow you to create twisted ropes along curves. 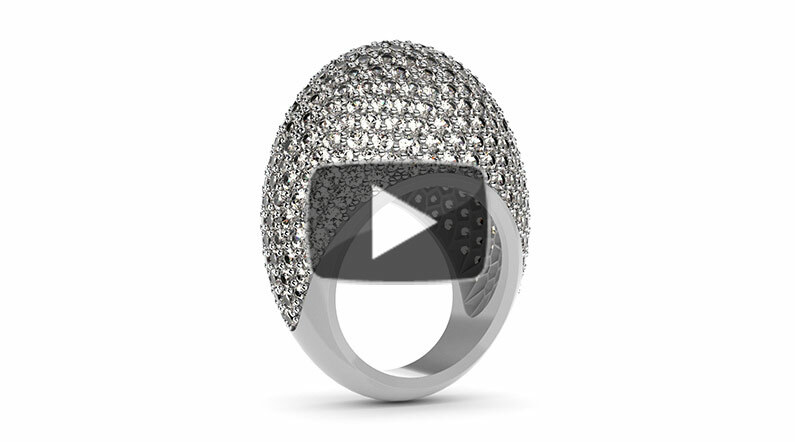 Explore new ways to create astonishing ornaments and reinvent your existing creations. New parameters added to the Eternity builder, Cutters in Line, Cutter Studio libraries, STL Export, New 3D textures and New 3D motifs. New functionality for each one of them. 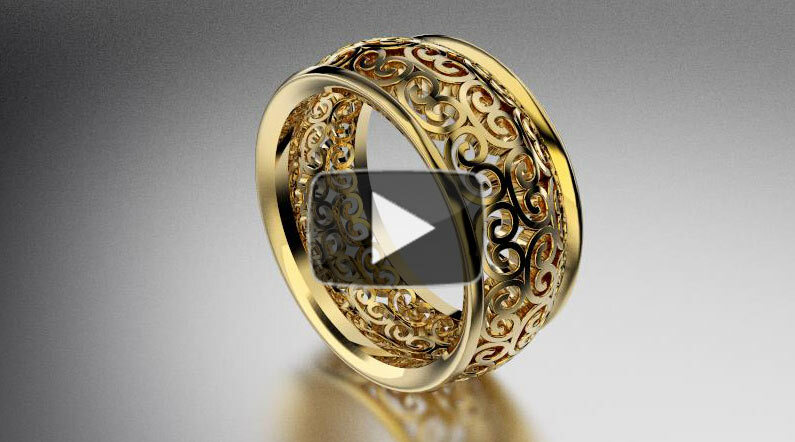 Create rings using a library of repeatable patterns, or create your own. 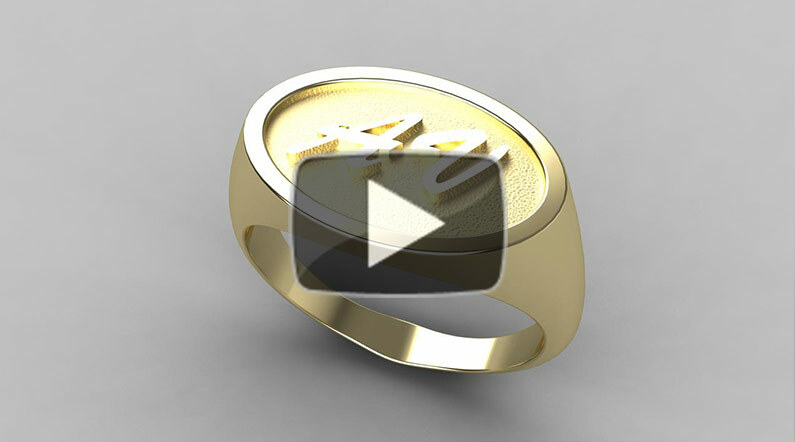 Easily adjust the spacing and number of elements across the width, and around the ring. 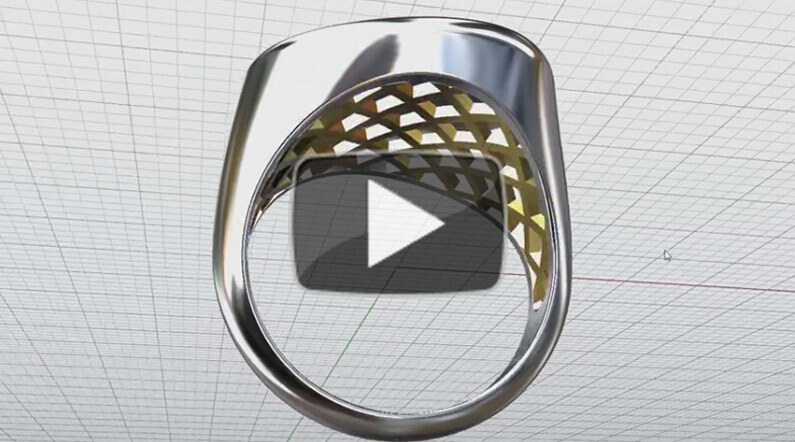 Quickly design Cathedral ring bands, and Sweep-Up shanks with this easy to use tool. You can also create a bridge and see your modifications real time. 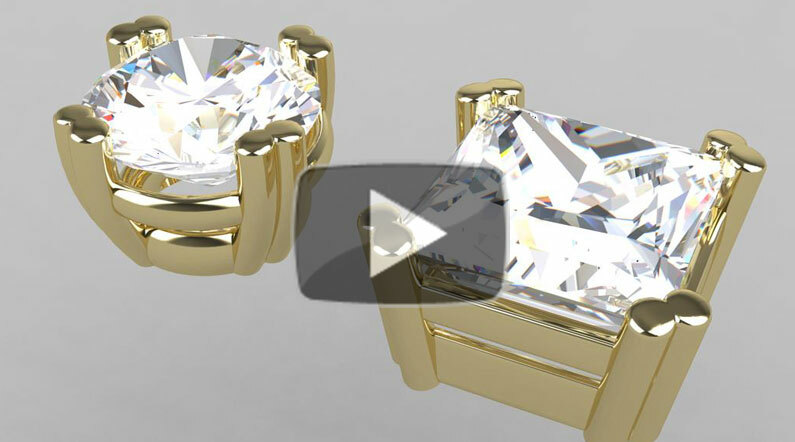 Quickly create channels and easily place prongs for your gems using the Channel Cutter. Easily modify the width & depth of the channel, as well as prong height, diameter, and position. This tool allows you to create basket settings for your gems. 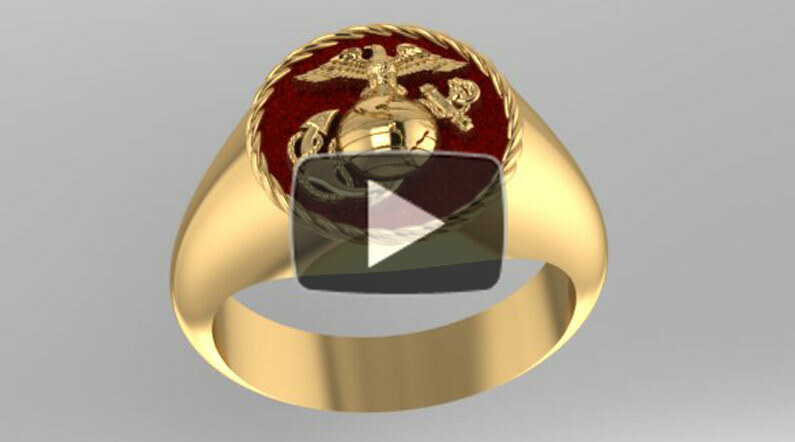 Select from a library of 3d-patterns, or create your own. Perfect for designing unique cocktail rings, or pendants. 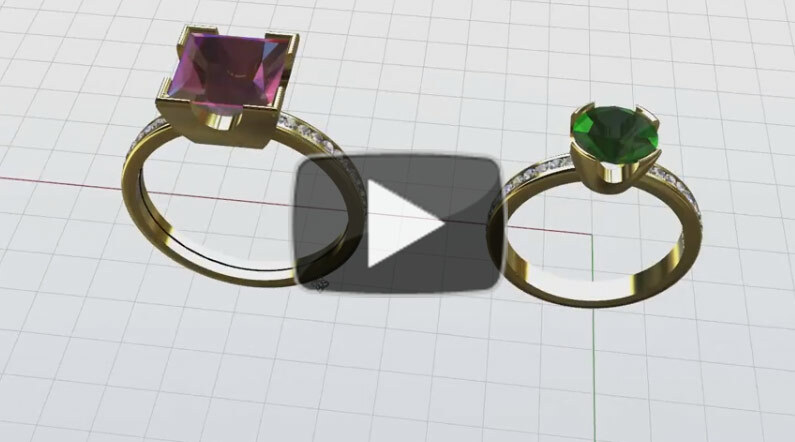 The perfect tool for creating hinges in your jewelry, for 3D printing and manufacture. Easily define the location of the hinge, diameter of the pin, and more. 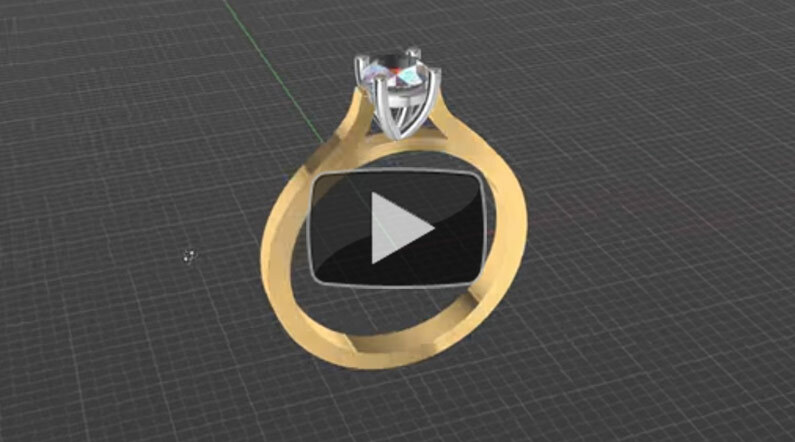 RhinoGOLD makes it possible for jewelry designers and manufacturers to design, modify and make jewelry precisely and quickly via an intuitive interface that both simplifies and cuts down learning time. 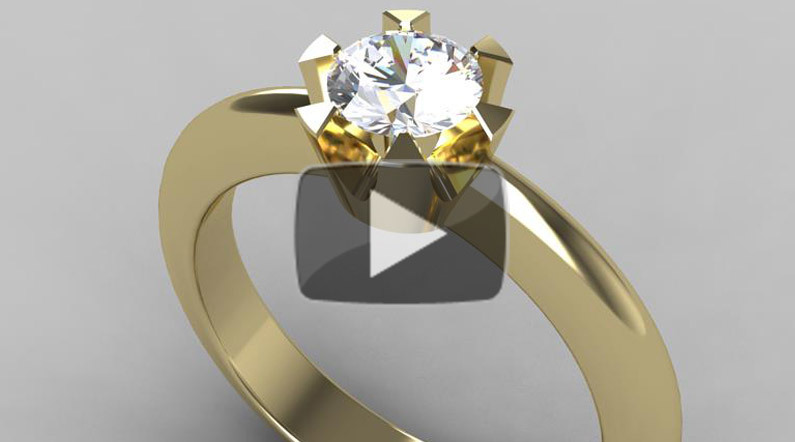 RhinoGOLD software is designed by jewelers for jewelers. Intuitive tools that are quick to learn. All of the tools have a real-time preview function. 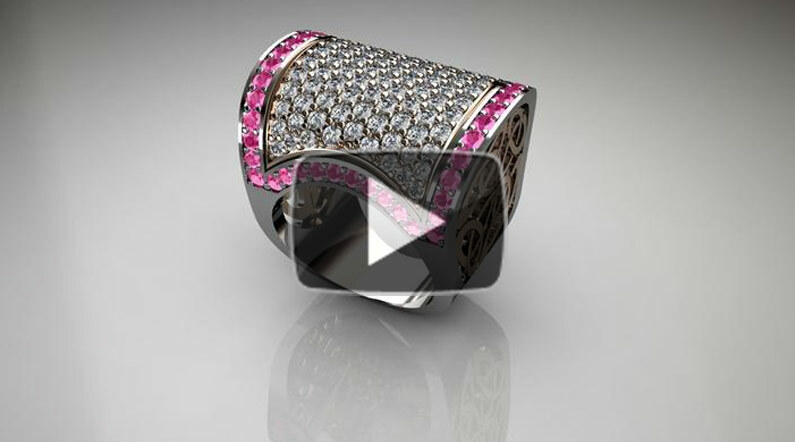 A multitude of advanced tools which are ideal for experienced trade jewelers. 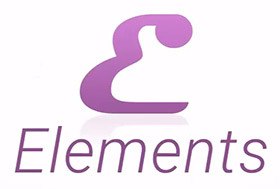 Includes support via phone, email and forum. Training is available either via classroom / on-site / online. 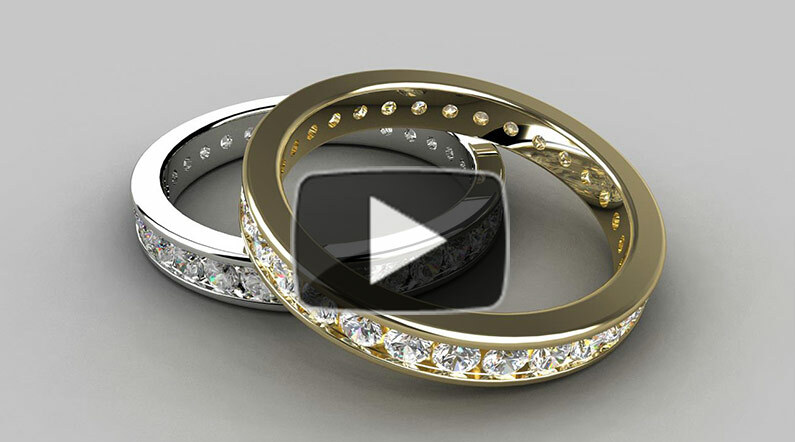 Create eternity bands in just a few clicks. 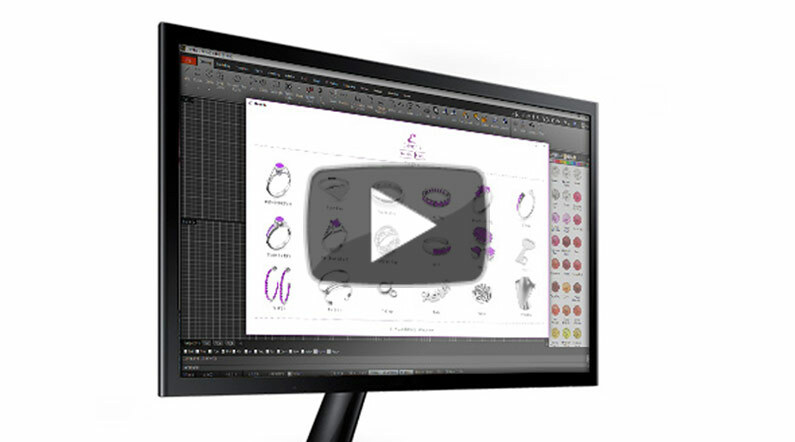 Check out this awesome new tool and speed up your designing process! A new tool to create a halo layout around any gem or object. 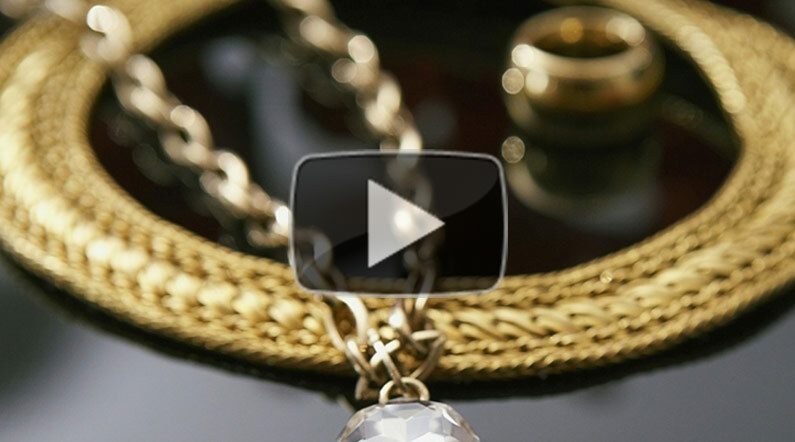 Easily adjust gem size, prong size, shape & quantity. 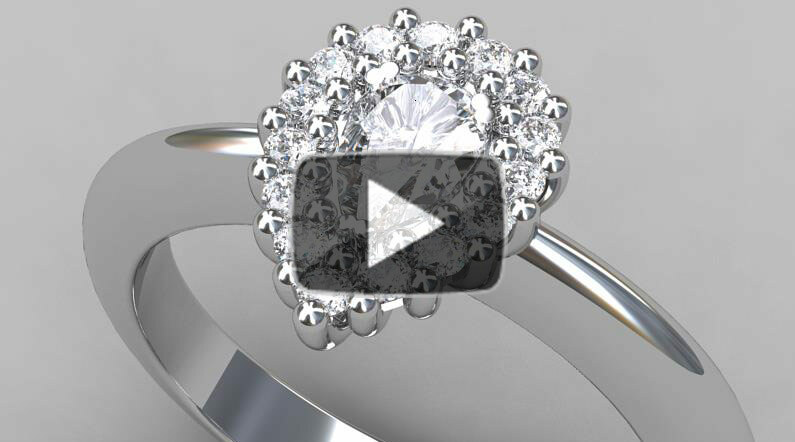 Create a classic cluster design around a gem in minutes. 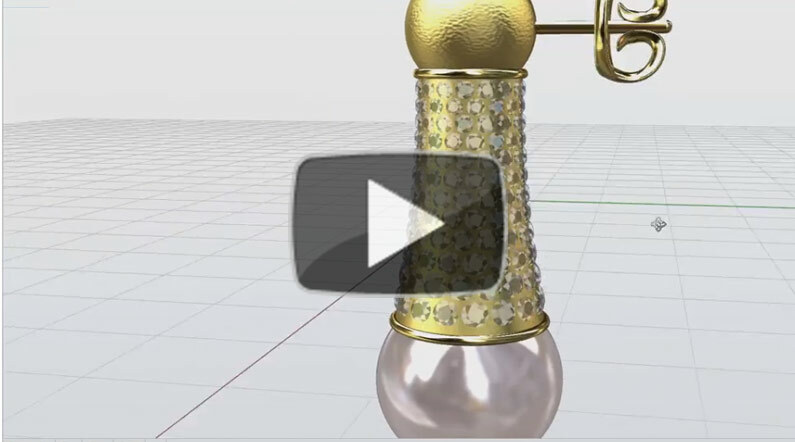 Easily adjust the gem size, bearing, prongs, wires, etc. 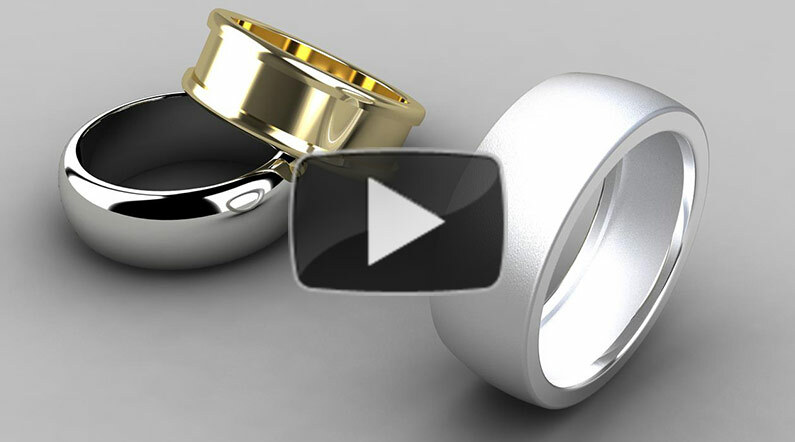 Create your under gallery while hollowing your ring. Great for ring sleeves! Easily taper, twist and bend objects dynamically using Gumballs. 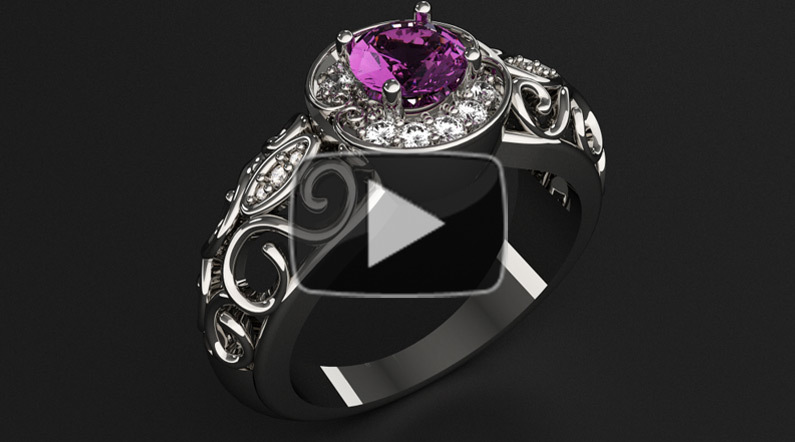 Easily copy the settings of a bezel from a round gem to a square or oval gem, and link other properties. 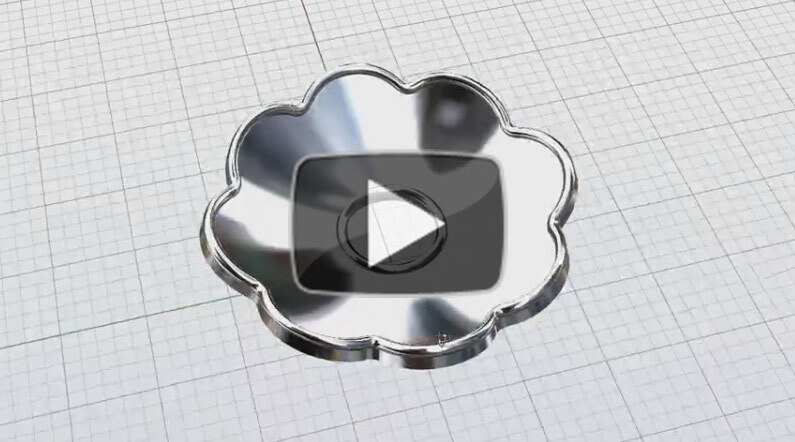 This tool is now is the most powerful way to apply a pave on surfaces and/or on meshes. Create a PAVE of gems, row by row along any surface. Easily adjust the size of gems when placing each row. Apply an azure under your PAVE of gemstones. Completely redesigned. Quickly create tapered ring shanks in US/UK/EURO & other international sizes. All editable parametrically. An amazing tool to easily create heads/settings. 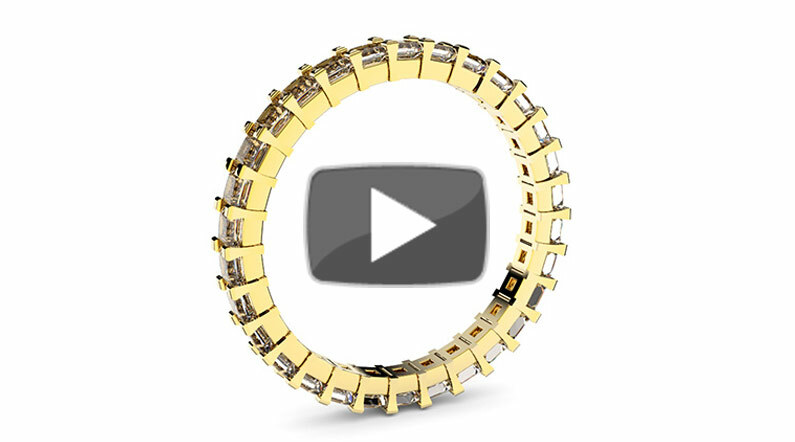 Unlimited prongs types (round, square, oval, etc), rotate prong positions, unlimited sizes. 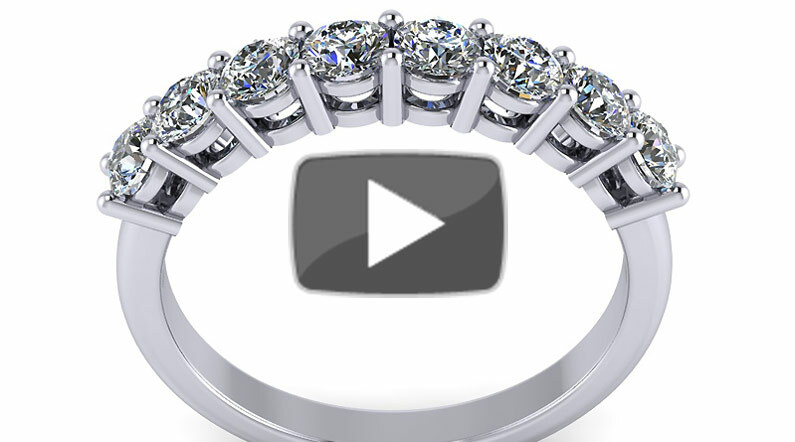 Create full channel & half-channel eternity rings. 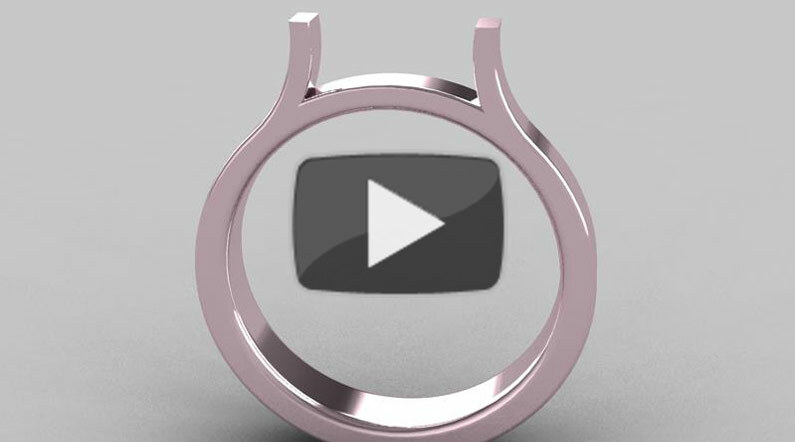 This tool can also be used to create halo rings which are popular in engagement ring designs. 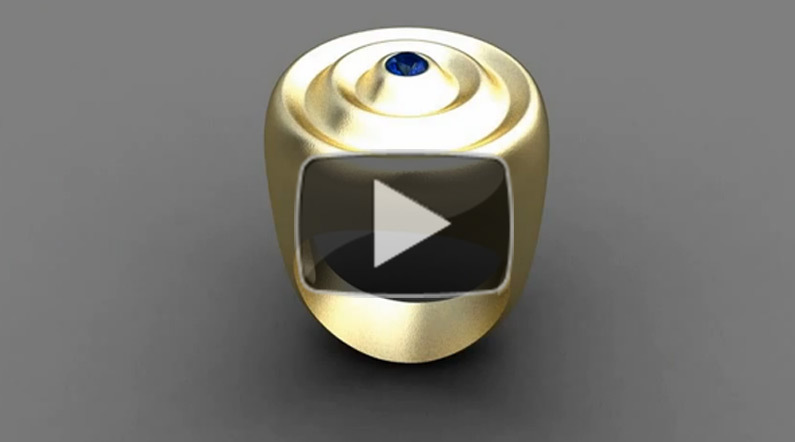 Amazing wizard to create signet rings in a matter of minutes. 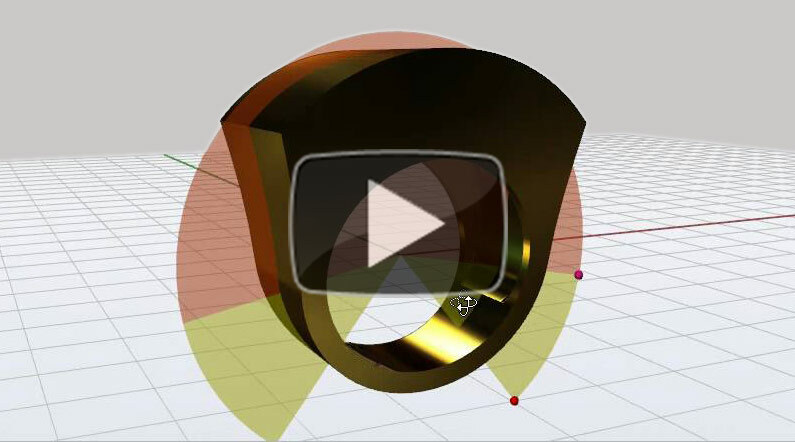 Use the “Hollow Ring” tool to reduce metal weight. 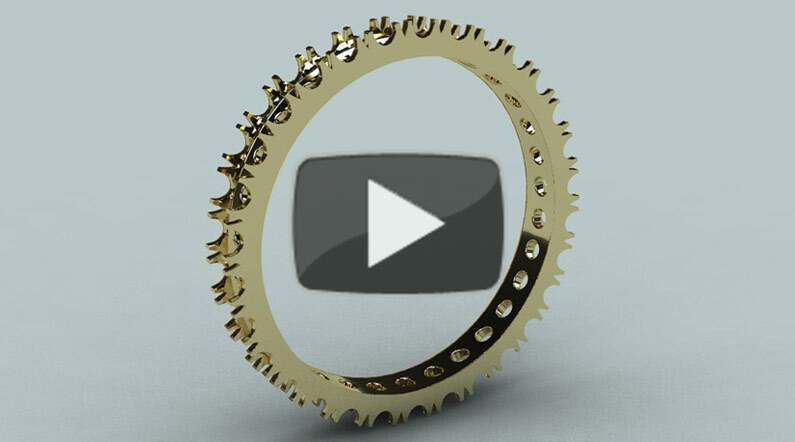 Use the Cutters in Line tool to quickly create fishtail settings. Easily taper the cutters for halo-style settings. 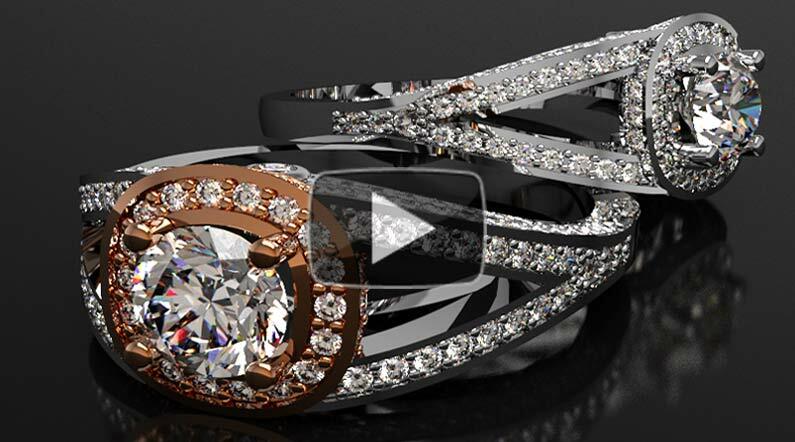 Create a layout of your gems showing sizes and quantities for stone setting. Great for PAVE layouts. 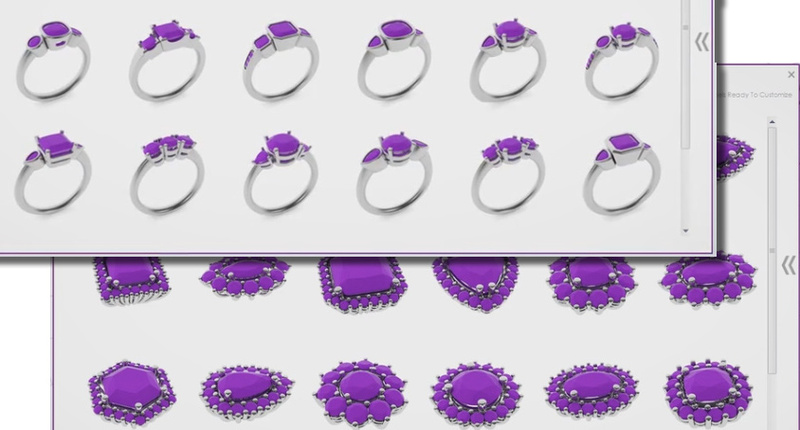 Quickly build bezels around a variety of gem shapes such as round, princess, oval, emerald, etc. 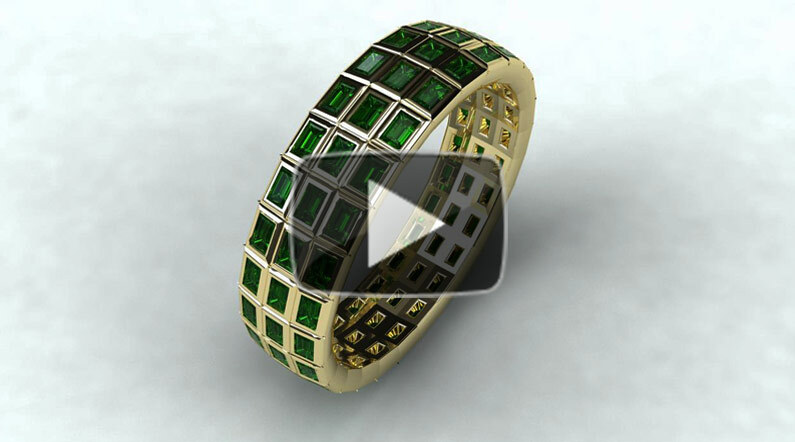 Your bezel will automatically resize if you change the size of your gemstone. 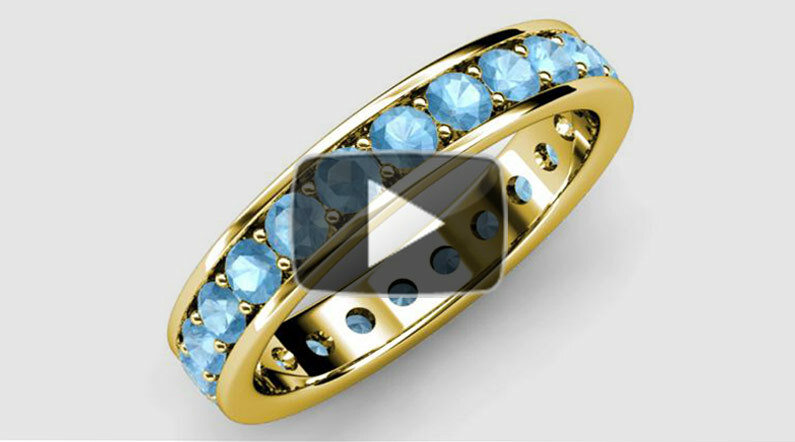 The GEM Studio allows you to quickly add a variety of gem cuts: brilliant, emerald, trillion, oval, princess, pear, etc. 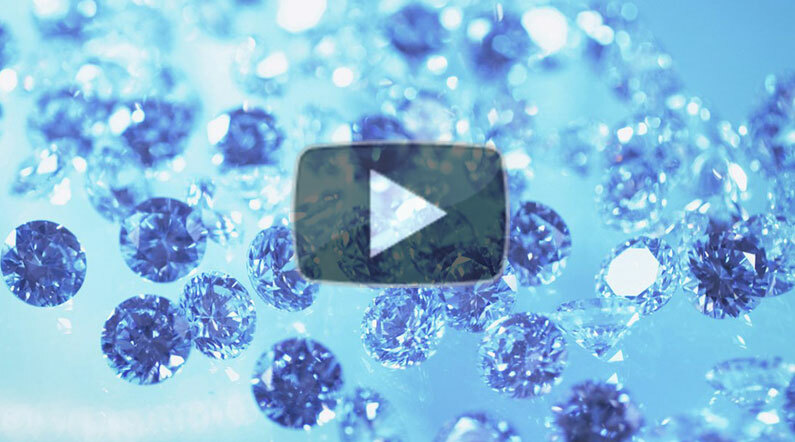 You can specify gemstone size(mm), carat weight, & more. 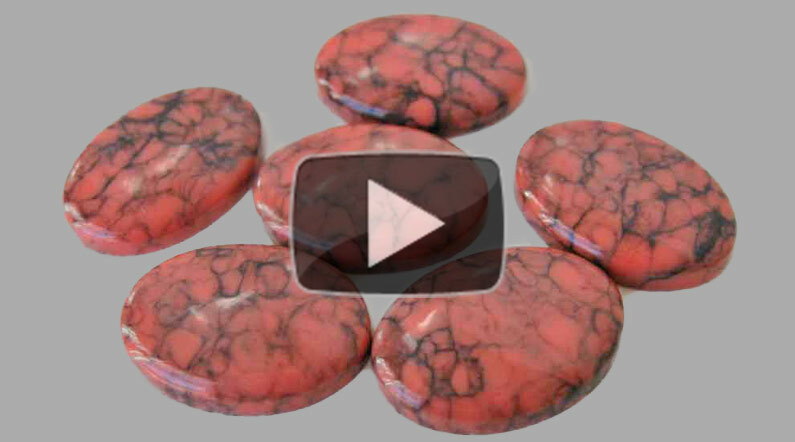 A new tool to create cabochon gems, fully editable settings such as; length, width, height, girdle height, angle of the base of the cab, etc. 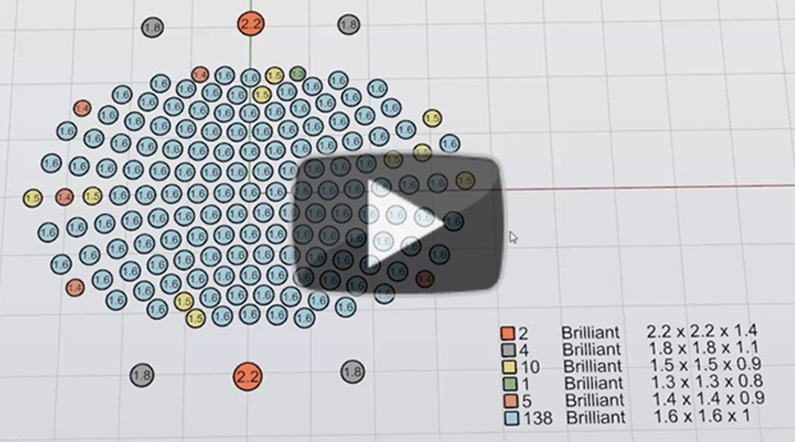 Make a circular array, spherical array or interpolate the elements between others. 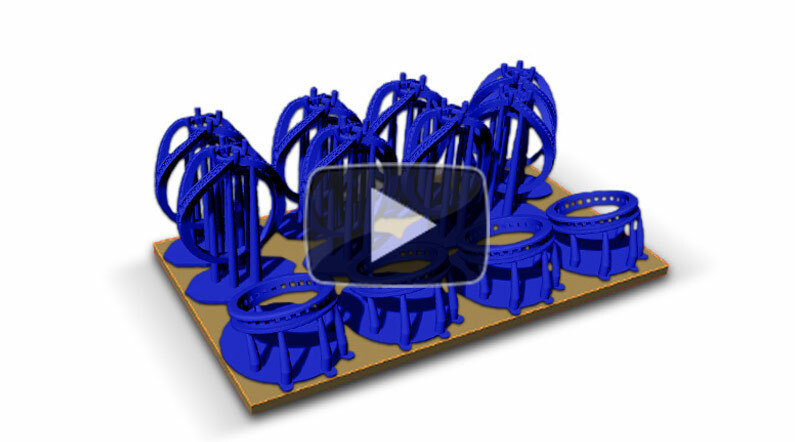 Watch the video to see an example of a spherical array. 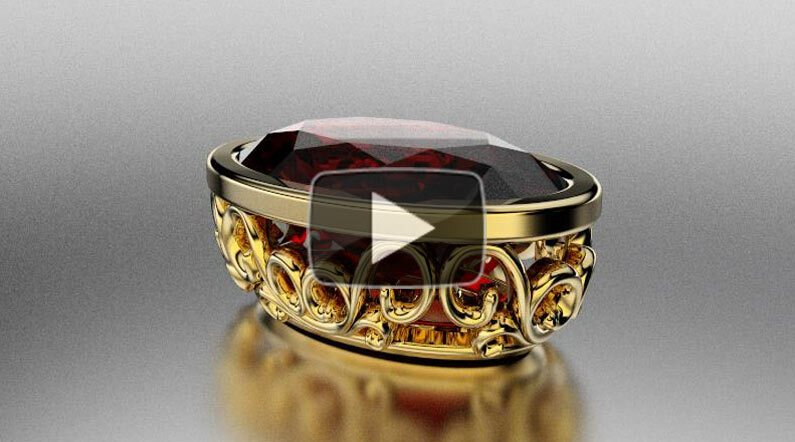 Amazing tool tool to create prongs between gems. Great for creating shared claws on the shoulders of ring shanks. New tool to create a millgrain in seconds. 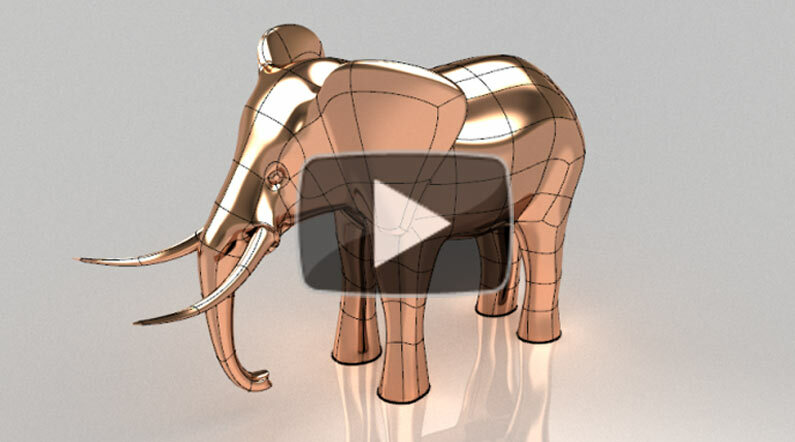 The perfect tool to produce 3D renderings for your customers. Use the Pearl Studio to create pearls, specify the calotte thickness, and the post wire diameter & length! 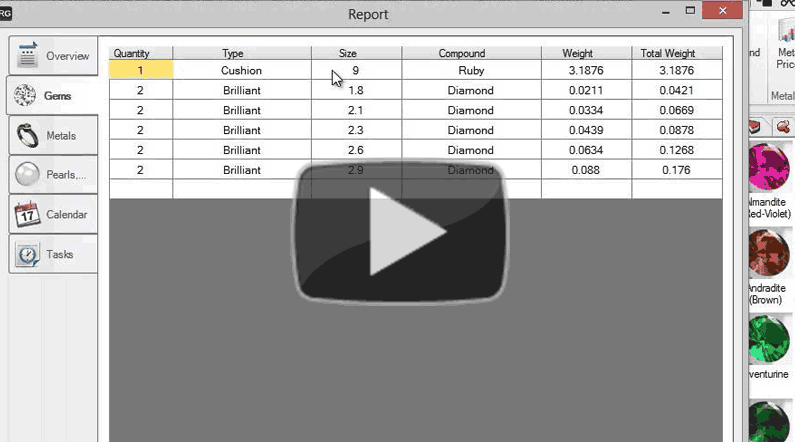 RhinoGold Report will automatically calculate metal weights, gem quantities/sizes, & carat weight from your design. Now you can quickly produce accurate quotes for your customers. 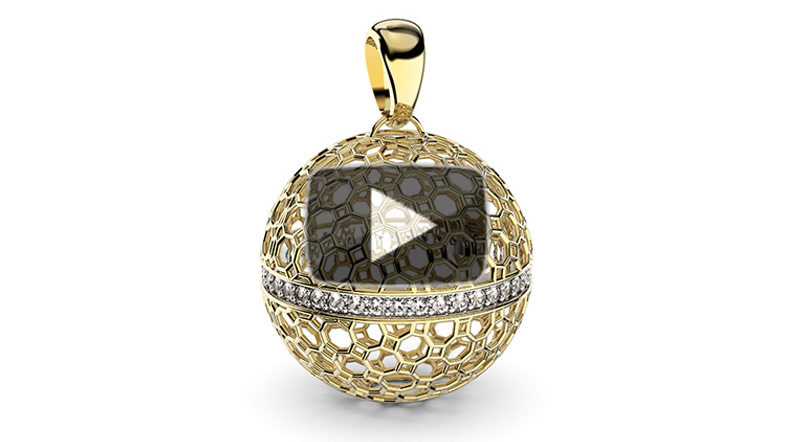 Use the Chain Studio for the rendering of pendants with necklaces. Simply create one chain element, and specify the rotation & number of elements. 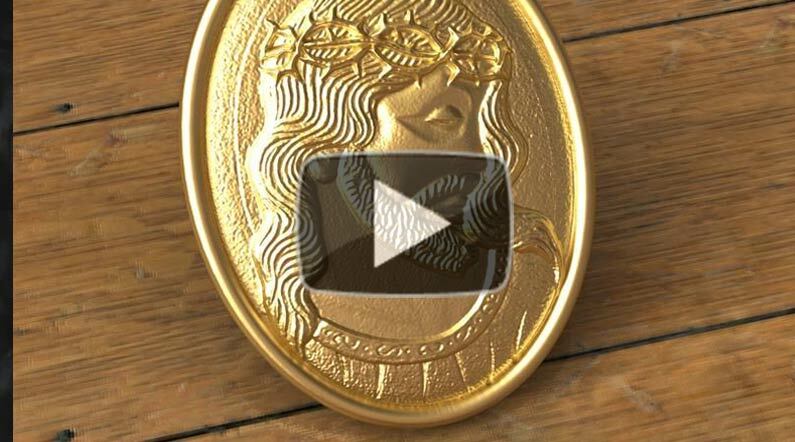 Use the Dynamic Profile tool to quickly create organic designs from simple curves. 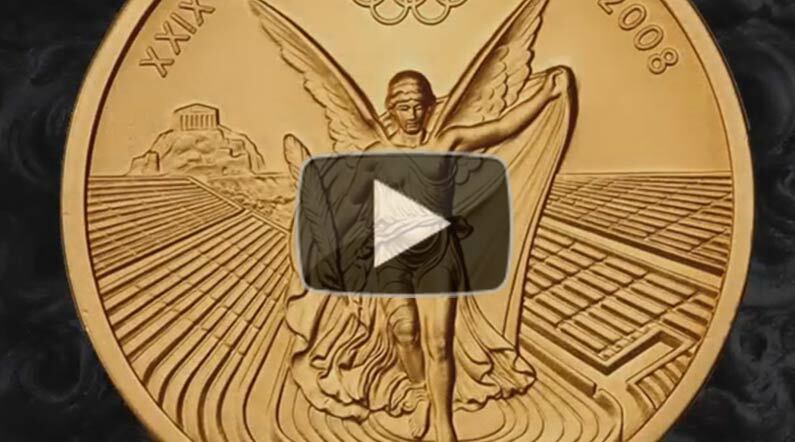 Watch the video to see the possibilities using this tool. Great for creating sweep-up bands & cathedral shanks. Easily adjust side taper, & size to US/UK/EURO & other international sizes. 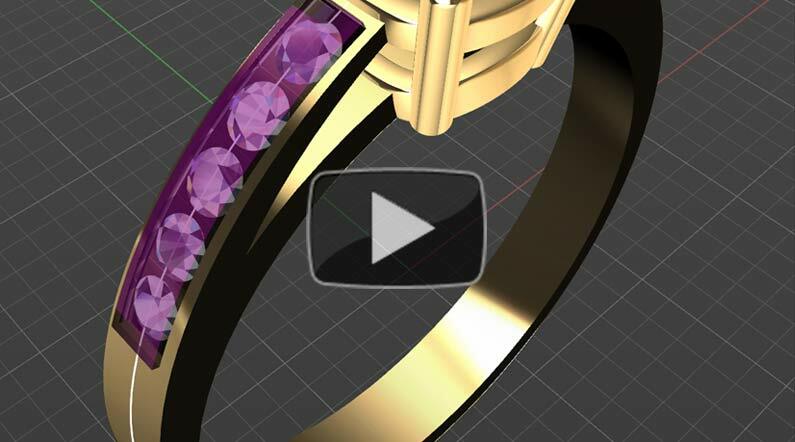 Use the Gems By Curve tool to easily place a line of gems on the shoulder of ring shanks. Perfect for placing stones on sweep up or cathedral ring bands. Easily create an extruded object with a hollow inside from a closed curve. Specify the thickness of the wall and depth of hollow. Great for pendants! 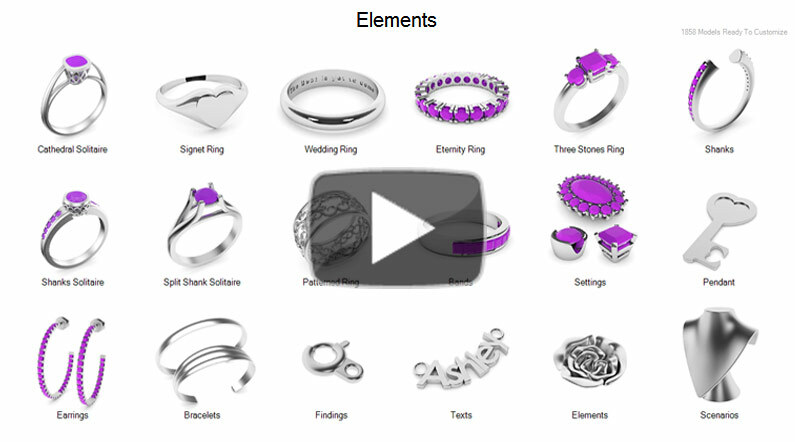 RhinoGold Elements. Imagine. Combine. 3D Print. 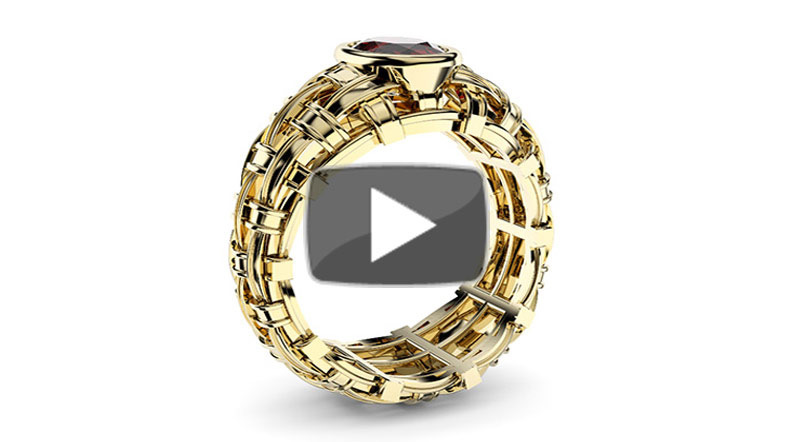 Redesigned interface to save time & money by quickly searching and selecting jewelry components by defining finger size, gem color & metal alloy. Don’t have time to learn CAD? 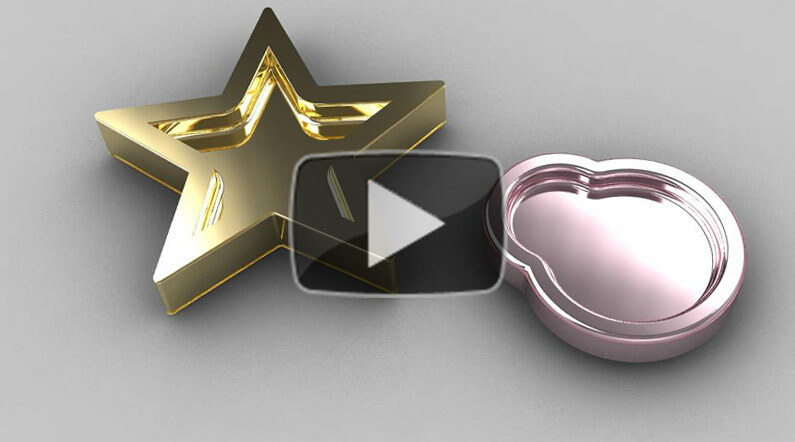 Would you like to be able to choose from 1,000’s of components to customise your designs? 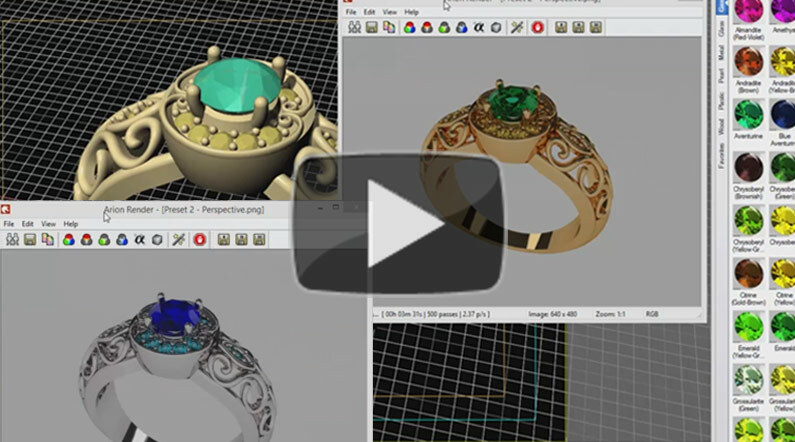 Easily create photo realistic 3D renderings to send to your customers, then save your design for 3D printing to your own 3D printer or upload to your preferred casting house. 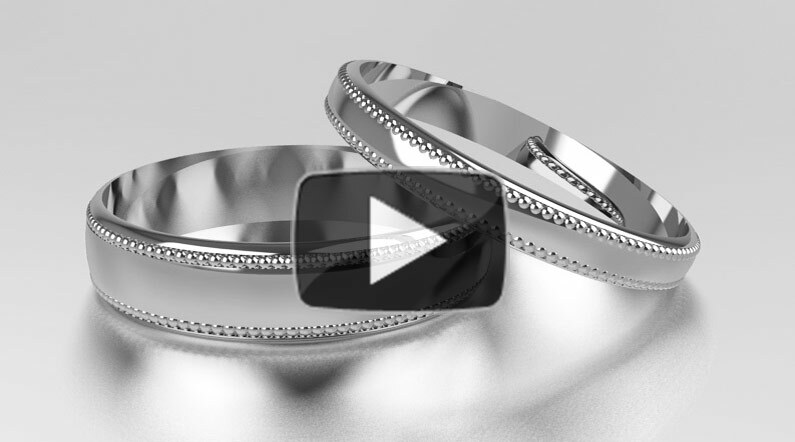 RhinoGold Elements are designed for manufacturing. 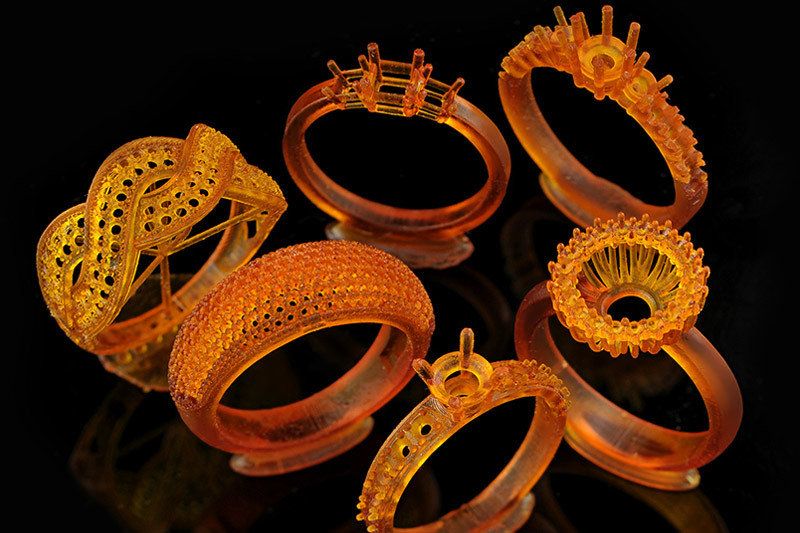 Your designs are your own, so you can export your designs in STL format and use any 3D Printer available: Solus, Solidscape, Envisiontec, DWS, 3D Systems, Asiga, RapidShape, etc… Print your custom designed piece of jewellery in-house, or send it to any 3D printing company ! 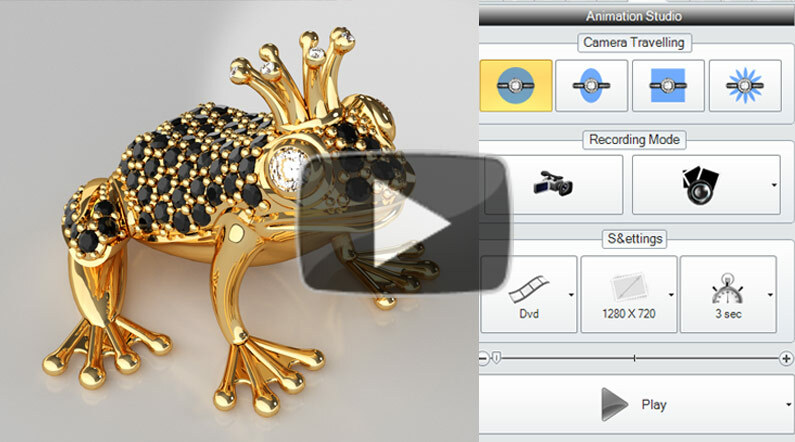 RhinoGold Render Studio for Arion is totally integrated into RhinoGold 5.0. 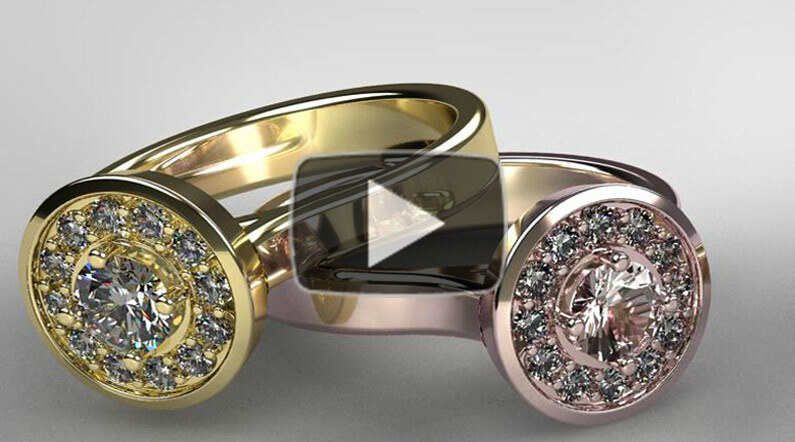 Arion simulates the physics of light bouncing of metals or refracting through gemstones with ease. 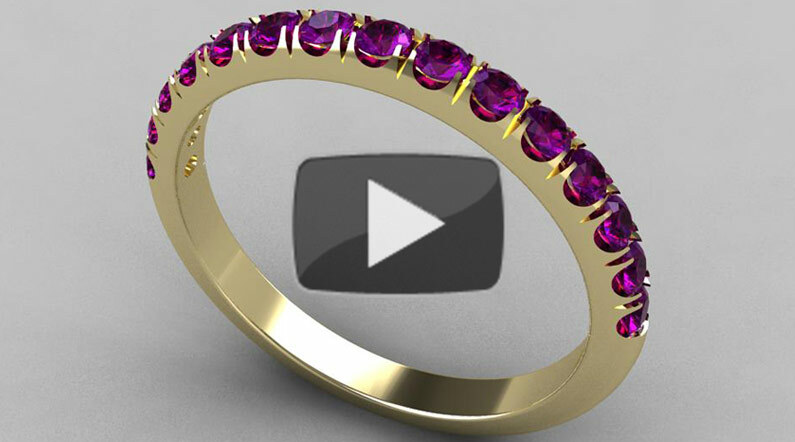 Automatically create photo-realistic images for your customers, showing variations of the same design in different metals and gemstones. Create photo-realistic videos to email to your customers, for your website, or sharing on Facebook and social media. Easily push and pull clayoo surfaces like you are modelling with clay. 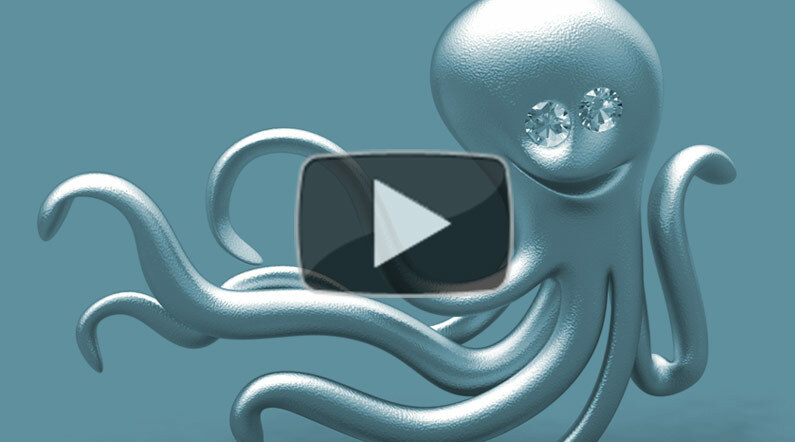 Create smooth-flowing, organic surfaces along curves using Clayoo. 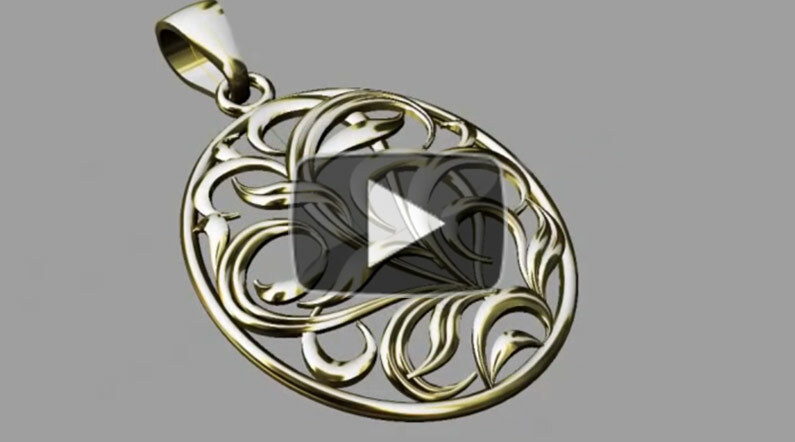 Watch the workflow in RhinoEmboss to create a medallion. 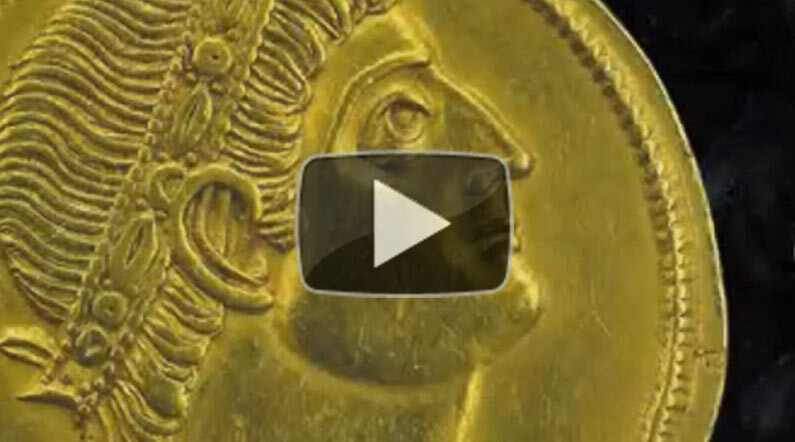 Another time-lapse video showing how to create raised relief’s using RhinoEmboss. The RhinoEmboss Carbon Copy function.